Model averaging, specifically information theoretic approaches based on Akaike’s information criterion (IT-AIC approaches), has had a major influence on statistical practices in the field of ecology and evolution. However, a neglected issue is that in common with most other model fitting approaches, IT-AIC methods are sensitive to the presence of missing observations. The commonest way of handling missing data is the complete-case analysis (the complete deletion from the dataset of cases containing any missing values). It is well-known that this results in reduced estimation precision (or reduced statistical power), biased parameter estimates; however, the implications for model selection have not been explored. Here we employ an example from behavioural ecology to illustrate how missing data can affect the conclusions drawn from model selection or based on hypothesis testing. We show how missing observations can be recovered to give accurate estimates for IT-related indices (e.g. AIC and Akaike weight) as well as parameters (and their standard errors) by utilizing ‘multiple imputation’. We use this paper to illustrate key concepts from missing data theory and as a basis for discussing available methods for handling missing data. The example is intended to serve as a practically oriented case study for behavioural ecologists deciding on how to handle missing data in their own datasets and also as a first attempt to consider the problems of conducting model selection and averaging in the presence of missing observations. 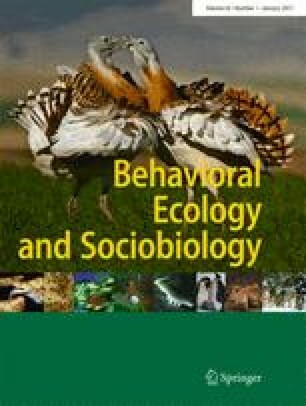 This contribution is part of the Special Issue “Model selection, multimodel inference and information-theoretic approaches in behavioural ecology” (see Garamszegi 2010). The online version of this article (doi: 10.1007/s00265-010-1044-7) contains supplementary material, which is available to authorized users. We thank Laszlo Garamszegi for the invitation to this special issue and the comments for a previous version of the manuscript. We are also grateful for the constructive comments by two anonymous referees. SN is grateful to Losia Lagisz and Mihoko Nakagawa for their support during the manuscript writing and is supported by Marsden Fund (UOO0812). RPF is funded by a Royal Society University Research Fellowship.